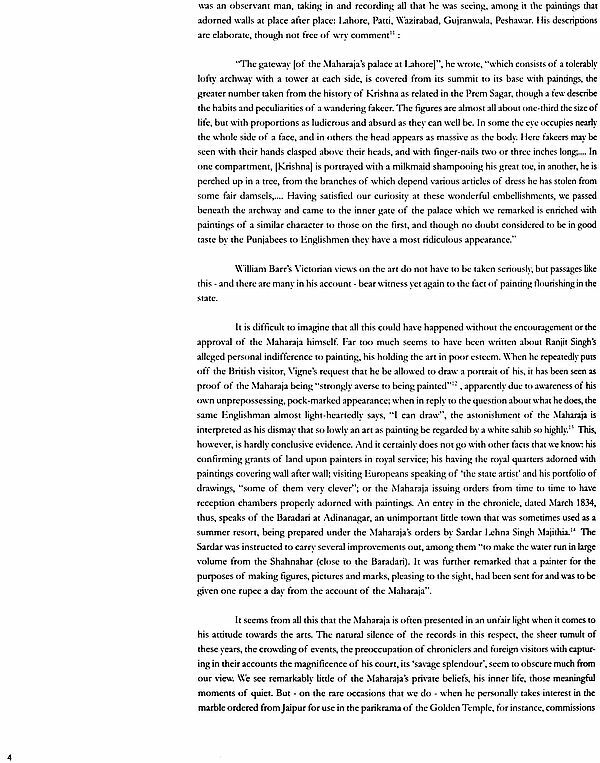 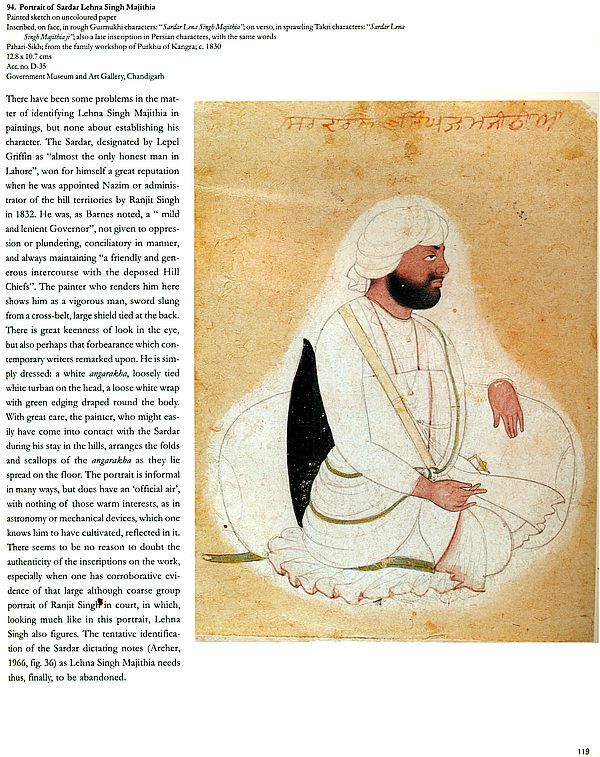 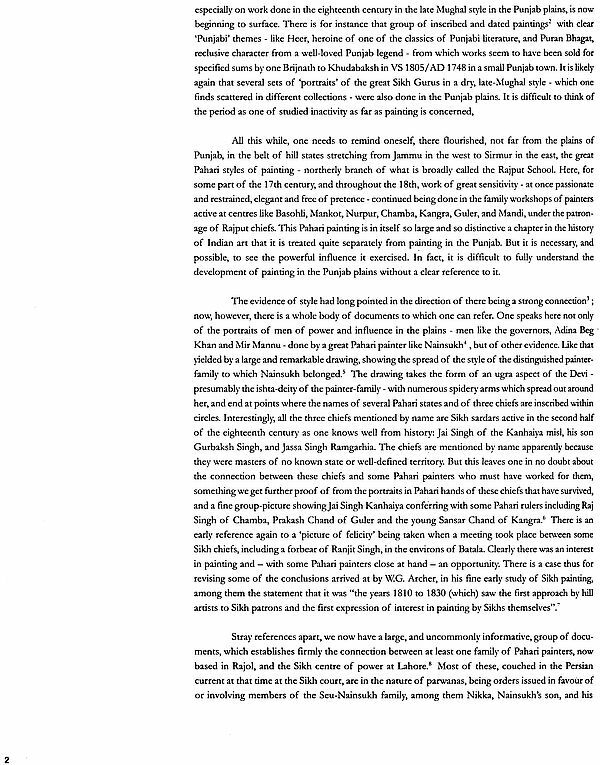 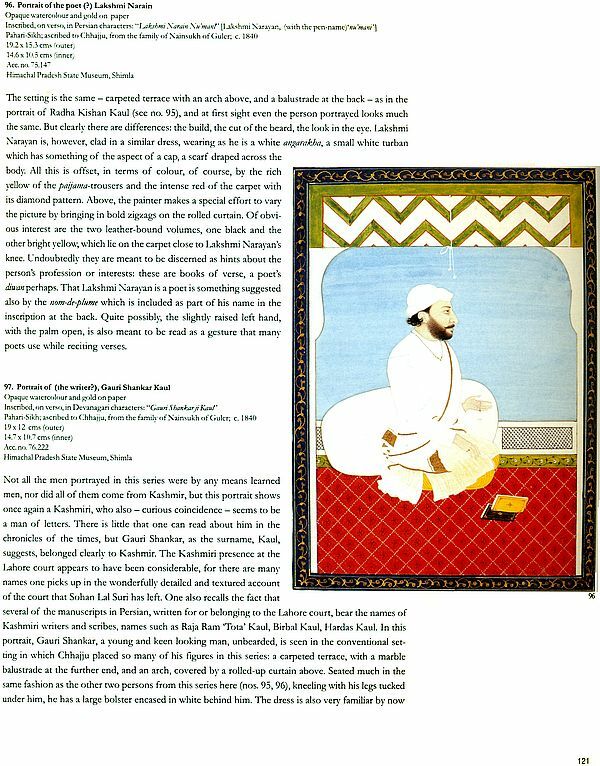 This is not a general survey of the art of the Sikhs, but a serious, meaningful inquiry into some of the most significant aspects of the subject. 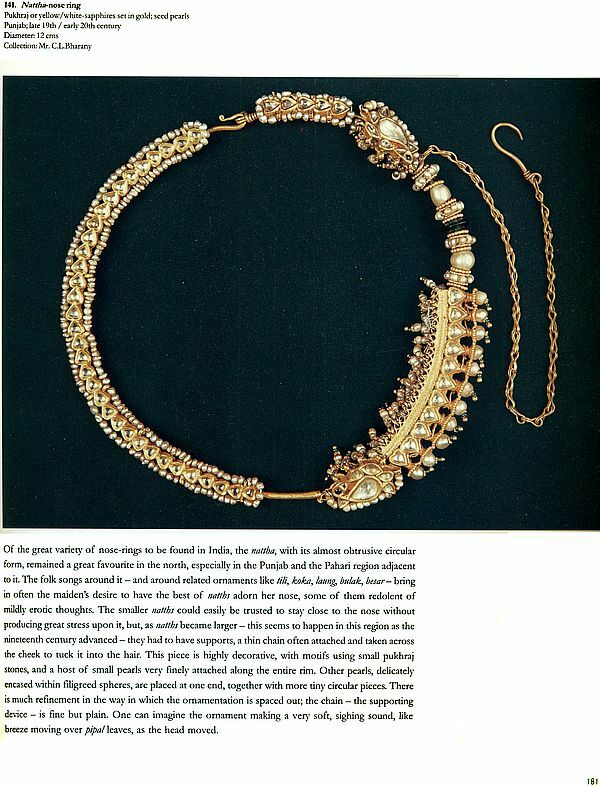 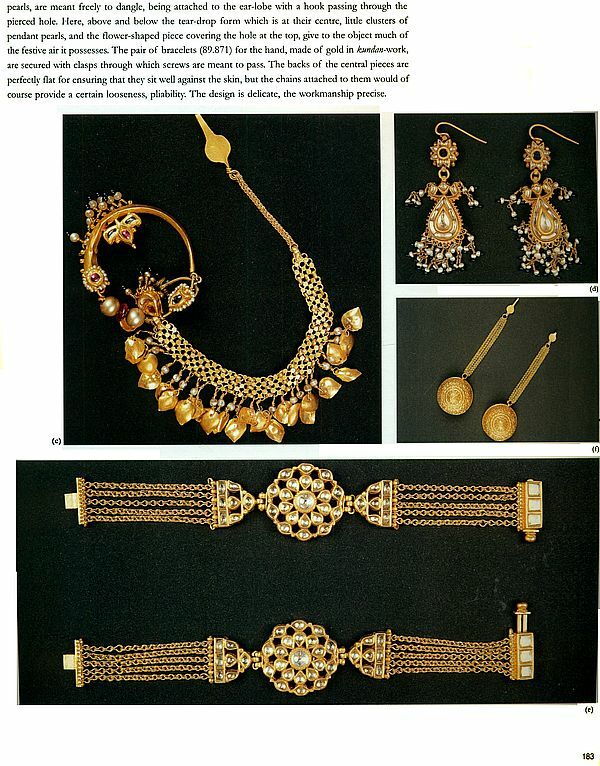 Explored in it through a wide range of works of art and other artefacts paintings and drawings, textiles, arms, jewellery,coins, among them - are ideas that run, like a golden thread, through Sikh art and thought. 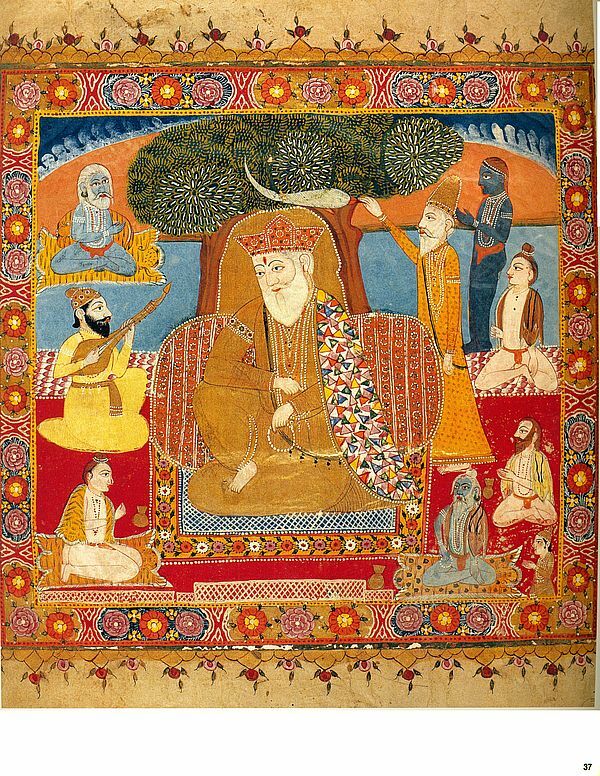 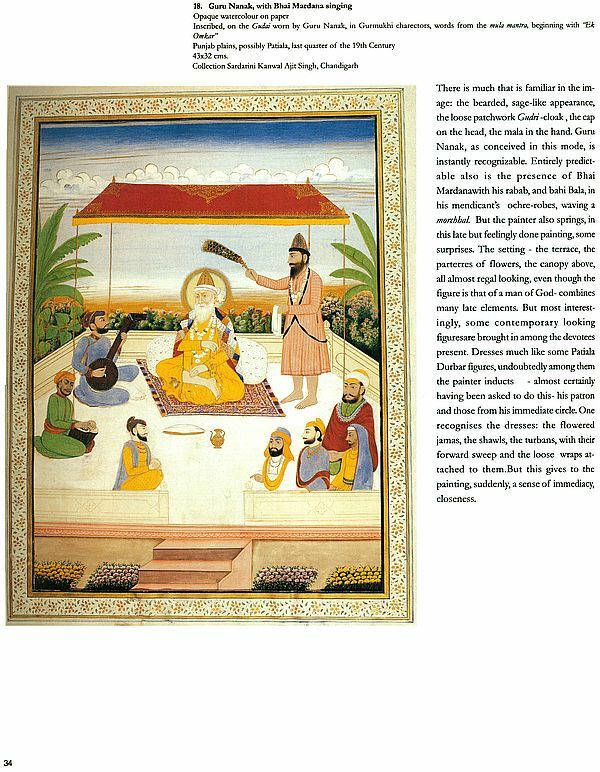 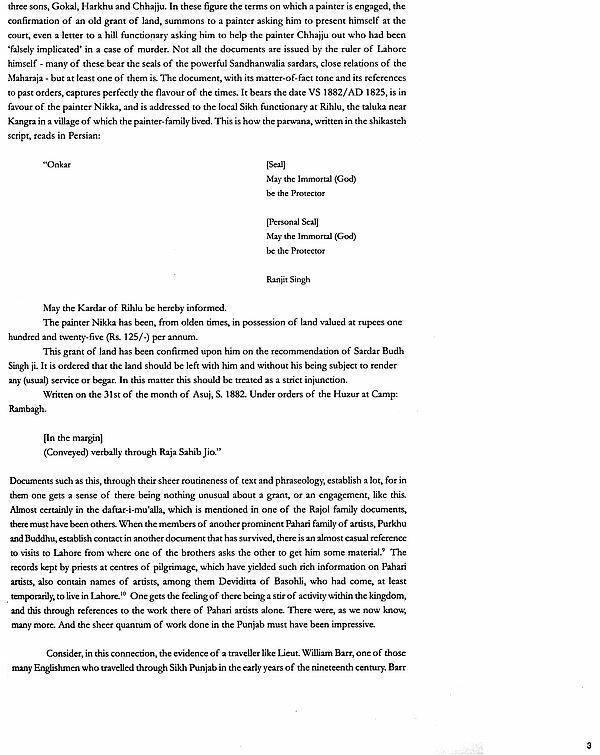 Starting with Guru Nanak's Encounters, as outlined in the Janamsakhis - traditional accounts of the life of Guru Nanak to Guru Gobind Singh, the book, like the exhibition to which it serves as a catalogue, moves from Piety, through the theme of Valour, to that of Splendour, ending with the Earthiness that one associates with the Sikhs and the Punjab. 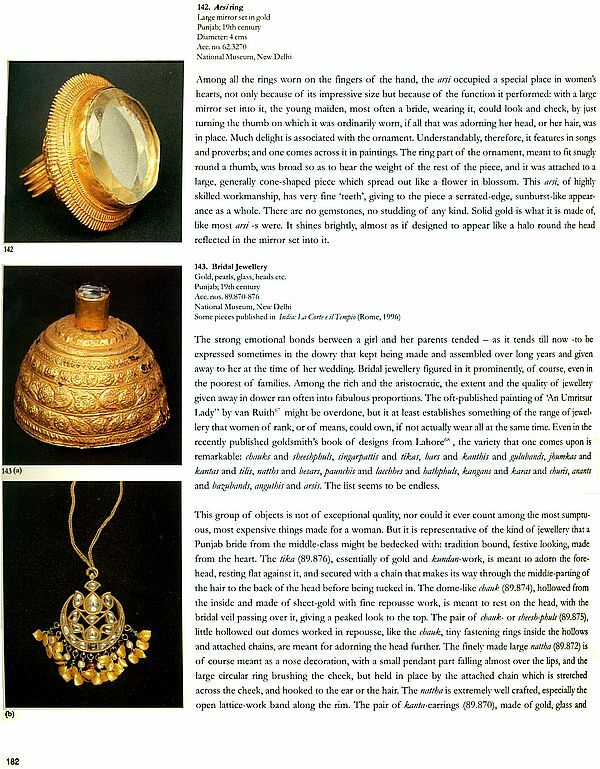 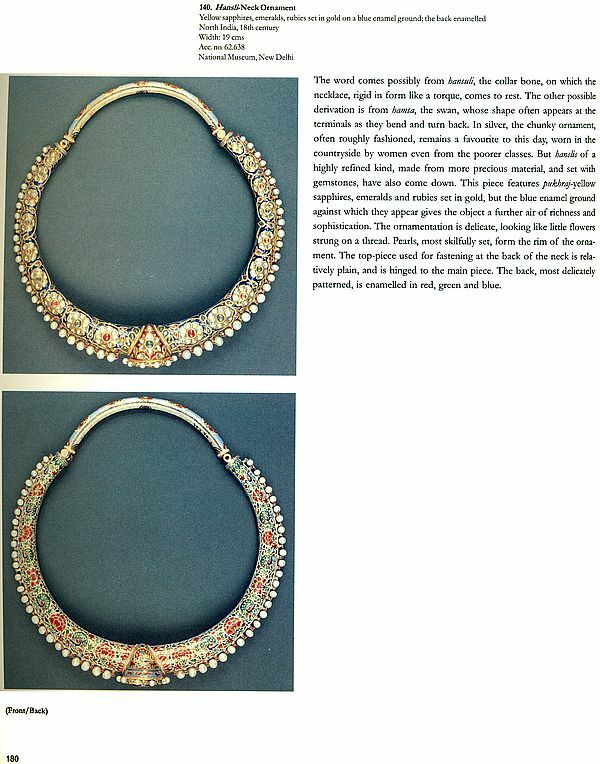 Some exceptional objects, all drawn from Indian collections, are featured here, each of them described and interpreted with care and sensitivity. 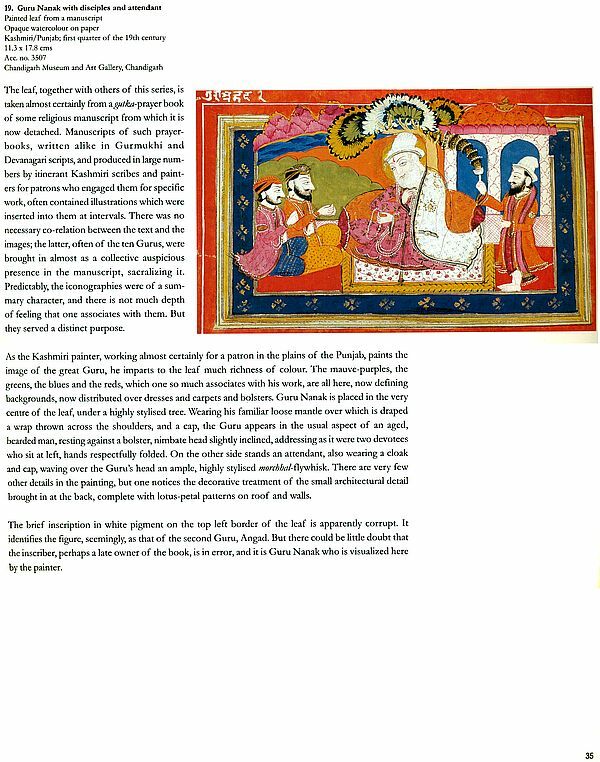 B.N.Goswamy, distinguished art historian, was till recently Professor of Art History at the Punjab University, Chandigarh. 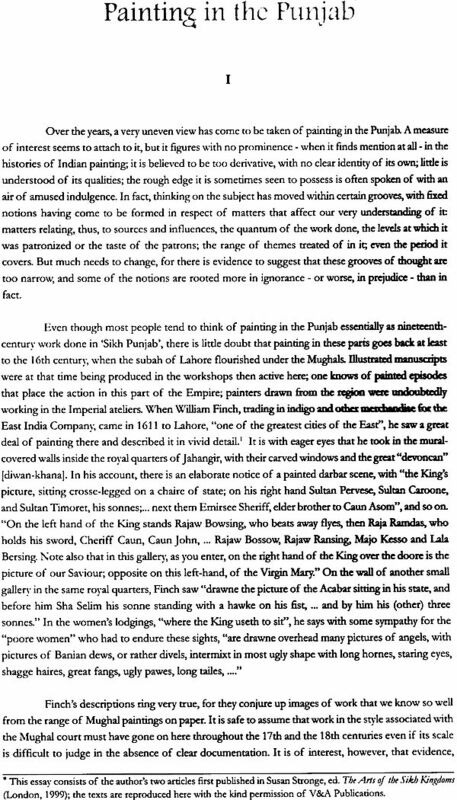 A leading authority on Indian art, his work covers a wide range, and is regarded, especially in the area of Pahari Painting, as having influenced much thinking. 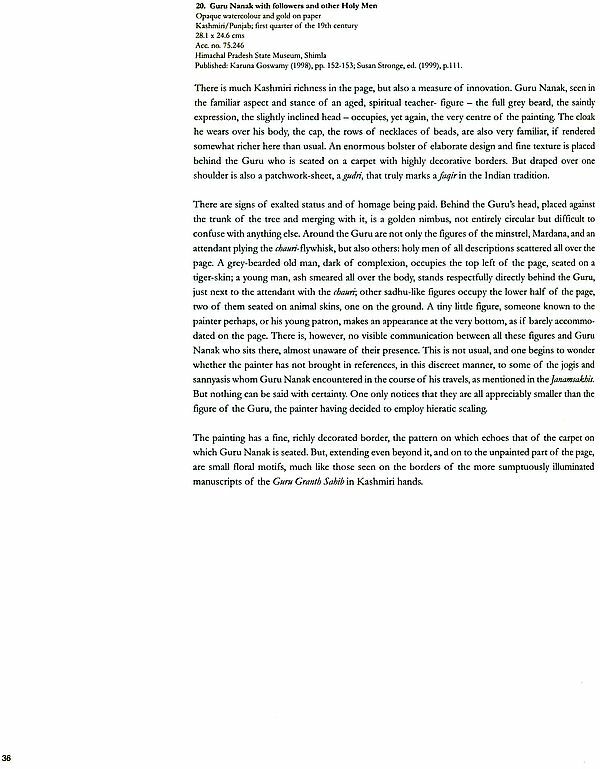 He has written extensively. 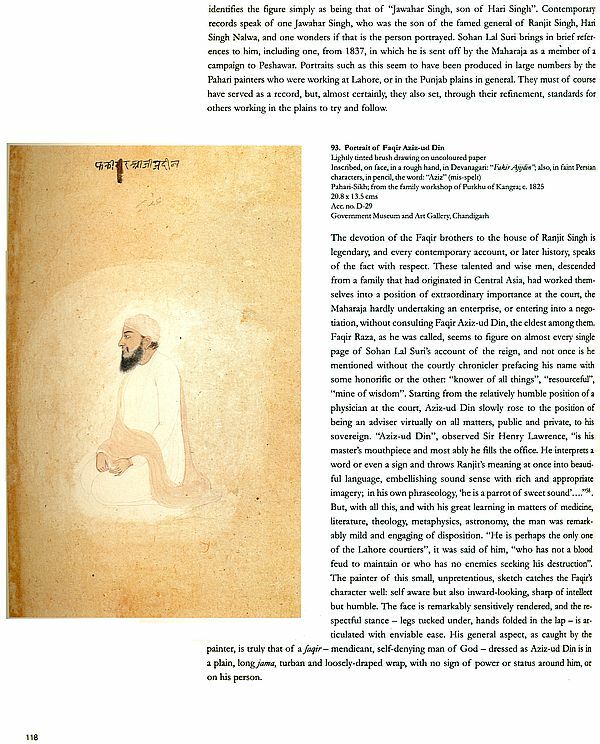 Among his publications are: Pahari Painting The Family as the Basis of Style (Marg, Bombay, 1968); Painters at the Sikh Court(Wiesbaden, 1975; reissued New Delhi, 1999); Essence of Indian Art(San Francisco, 1986); Wonders of a Golden Age (Zurich, 1987); Pahari Masters: Court Painters of Northern India (Zurich, 1992); Indian costumes in the collection of the Calico Museum of Textiles(Ahmedabad,1993); Nainsukh of Guler: A great Indian Painter from a small Hill State(Zurich,1997); and Painted Visions: The Goenka Collection of Indian Painting(New Delhi,1999). 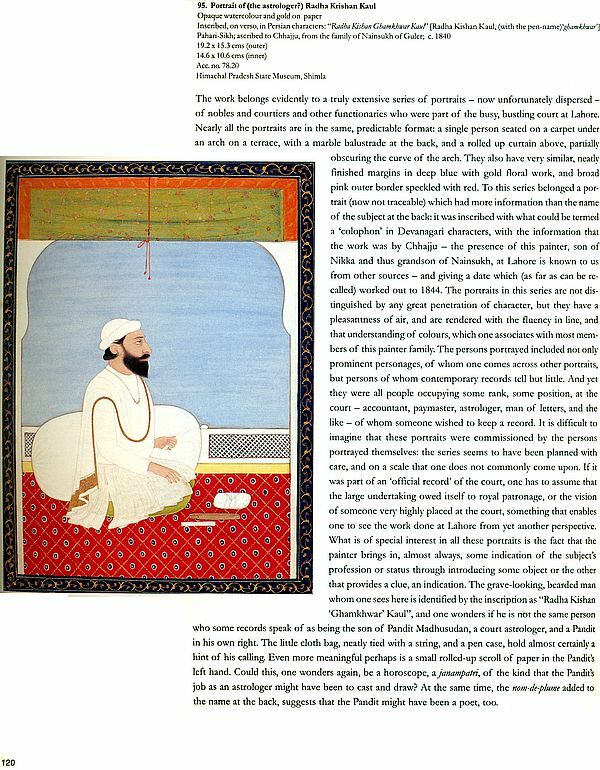 Professor Goswamy has been responsible for major exhibitions on Indian art in Paris, San Francisco and Zurich, and has taught, as Visiting Professor, at the Universities of Heidelberg, Pennsylvania, California (at Berkeley and Los Angeles), Zurich, and Texas( at Austin).